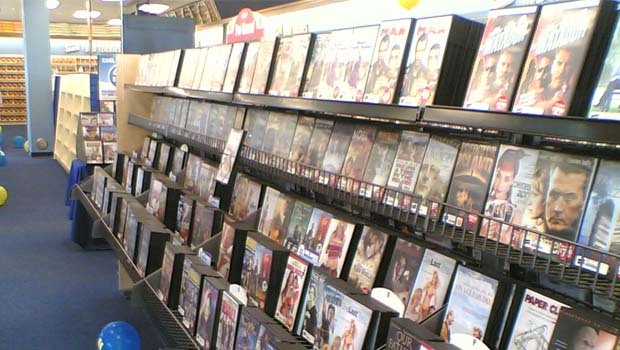 I miss video stores and the camaraderie of going to the video store with friends or family to pick out a movie. The latest media trend is ditching from mp3 downloads and embracing vinyl records… those same vinyl records that were being given away or thrown away in the mid-90s. Even cassettes are making a comeback. Alice Cooper stated the push toward physical media perfectly when describing mp3s and downloads by saying “no one wants to purchase air”. It’s no secret that I’m a child of the 80’s. A great portion of my childhood life happened when there was a video store on just about every corner. Weekends were spent browsing the local video store for the latest movies you either didn’t get the chance to see at the theater, or it was so good you’d want to see it again. And, sometimes even better were the classics you loved and could watch over and over with anticipation for your favorite parts. There were so many movies to choose from, you often stumbled upon ones that you didn’t even go there for. Sure, the convenience is far greater with Netflix, but the selection and variety can’t hold a candle to a well-stocked video store. Now, things have changed. You’ll have to drive far to find a video store anymore these days. You can head to the library and hope you’ll find something that is good enough to watch and isn’t already checked out. You can sign up for Netflix… but my experience with that is they never have the movies I want to see so what’s the point? Sure, there’s RedBox… but you won’t find JAWS or Ferris Bueller’s Day Off in that video vending machine. And, if you have On-Demand with your cable service, you’re likely to pay about $16 for a new release, which is a much higher price tag than Family Video would charge. I know that a lack of consumers can put you out of business… so my question is how did we not see that we had a good thing going with video stores? Are people really preferring the theatre experience, or are more willing to pay $16 for an On-Demand flick so they don’t have to hop in their car to go to a video store? Whatever the explanation, I miss video stores and physical media.